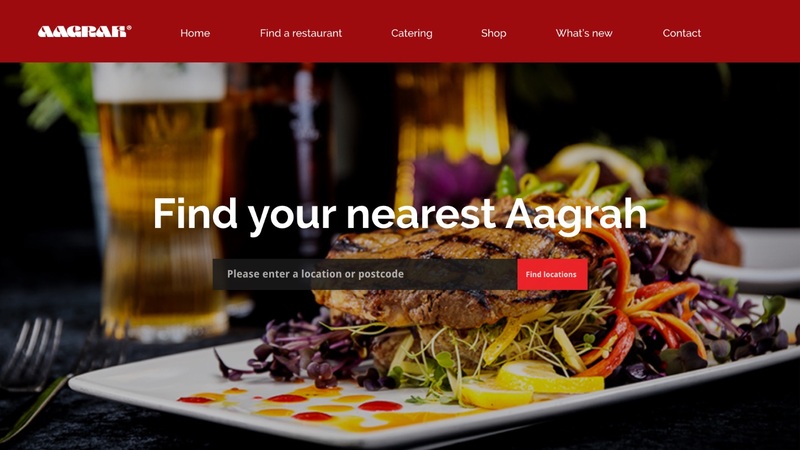 Aagrah are a well known and respected restaurant chain in Yorkshire, and they needed a website to reflect this. They came to us with a website that was dated, and did not function as they needed it to - it was not mobile responsive and didn’t fulfill the key need of generating bookings for the restaurant. It was also inflexible and difficult for the client to update. The old website also had security vulnerabilities. This became a large problem for Aagrah when one of their website visitors downloaded a virus, and so security was a top priority for the new website. We started, as we do every project, with a Discovery session with the client. We learnt everything we could about the business, including where it had been, where it currently was, and where it wanted to go in the future. 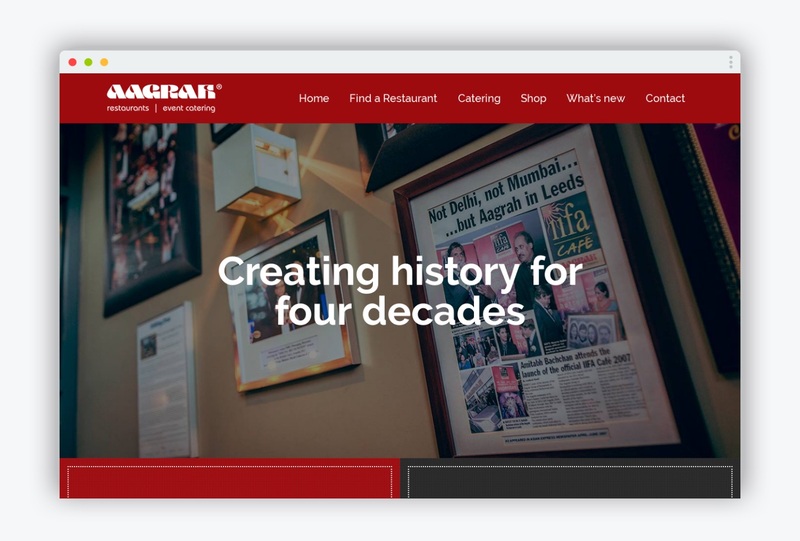 Aagrah wanted a website that would represent their 40 years of serving curry in Yorkshire. Our immediate focus was around creating high impact video from their flagship restaurant, and arranging photography at their 11 other restaurants around the county. This enabled us to create a design that captured the quality of the food and atmosphere of the restaurants, in a visually appealing manner. We also wanted to make sure that the website fulfilled Aagrah’s primary objective of restaurant bookings. We included a responsive map that allowed customers to search for their nearest restaurant by post code, and added the full menus to the website. Additionally we incorporated an online booking form, allowing users to book their table quickly and easily through the website. Once the site was built, we underwent an extremely thorough testing process to ensure that it was completely secure. 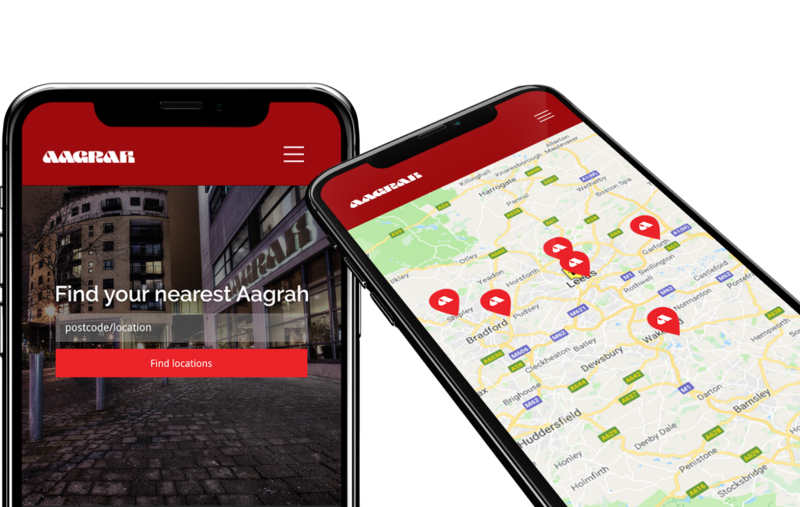 The outcome of the project was an eye-catching, mobile responsive website that reflects Aagrah’s established brand name. The new website is much simpler to use, with an effective user experience design. The back-end has the required flexibility that the client needed to be able to regularly update the site, and it is extremely secure.